Editor's note: What's more fun than passing off stalking celebrities on social media as work? This week we have everything in this round up to make you envious, laugh and go, "aww". 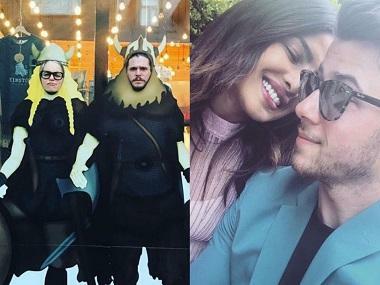 A life in the day of Varun Dhawan and his friends, Alia Bhatt gives us workout goals, SRK celebrates Bob Dylan winning the Nobel Prize and Ryan Reynolds wishes Hugh Jackman on his birthday. 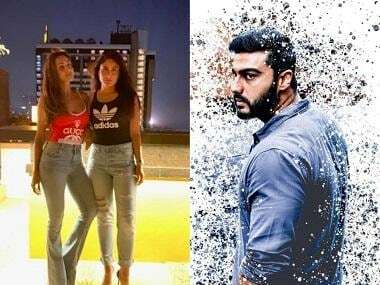 Varun Dhawan gets a chance to hang out with Arjun Kapoor and Riteish Deshmukh; while Sajid Khan also tags along. By the looks of it, the guys look like they were having great fun. Alia Bhatt seems to think it is okay to make us feel guilty by having fun exercising. Sigh. We need to get on the treadmill too, but it's only the weekend. Shah Rukh seems to be an ardent Bob Dylan fan by the look of this video. As people debated the pros and cons of folk singer Bob Dylan winning the Nobel Laureate, SRK celebrated the win by cooking with the background music of Bob Dyln's 'The Times They Are A Changin''. Deadpool(Ryan Reynolds) and Wolverine (Hugh Jackman) are frenemies in the Marvel Universe. So much so, Deadpool keeps mentioning Wolverine's name in his film. Reynolds decided to take it a step further and post a funny photo for Jackman's birthday. Zac Efron too decided to bring out the Wolverine inside him by posting a similar photo. Hugh Jackman gleefully re-shared his friends pictures too! It's a wrap for the 12th season of Keeping Up With The Kardashians! Kourtney Kardashian with the rest of the clan had pulled back from social media following Kim Kardashian's horrific Paris robbery. This also brought in the news that their reality show Keeping Up With The Kardashians put 'on hold indefinitely' in the wake of what happened to Kim, but a 13th season is still very much up in the air. Kourtney, Kylie, and Khloé posted Instagrams of black-and-white shots taken in a photo booth with the message 'That's a wrap! KUWTK 12' in the corner. They were joined by Scott Disick, friends, and crew members on the show, but sisters Kendall Jenner and Kim — who has yet to speak out about her ordeal — were noticeably absent. Who wouldn't want to be friends with Usher? Ludacris wishes his friend a very happy birthday. The two had collaborated with Lil' Jon for the hit song 'Yeah!' and have been friends ever since.